It’s a toss-up. Literally. The three matches in Division 1A are all between evenly-matched teams and it could be a cracker of a weekend. The close margin between the teams, by the way, means that any victory will do wonders for that team’s Elo rating – and would be very likely to see some movement at the higher end of the table before Sunday is out. 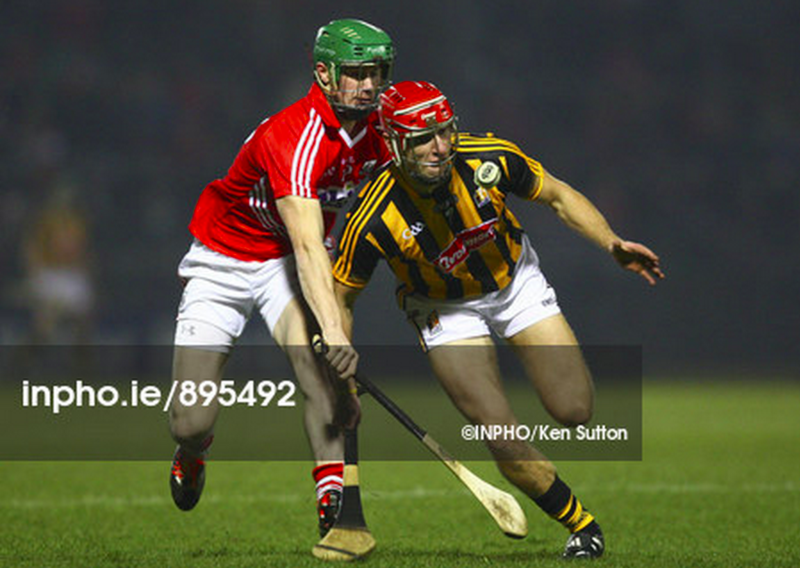 Kilkenny don’t really do wobbles – and it’s still not fair to appraise them when the absent Ballyhale contingent could easily supply all six of the forwards – but by their own standards, Kilkenny are wobbling a bit. Two losses in a row, to Dublin and Galway, will not be fatal to their League ambitions – in fact, they lost two of the five last year as well – but falling three times in a row, and in Semple Stadium, would be unsettling for the avid Cats. Tipp ought to feel they have a shot at this one, and the model gives them a 46.5% chance of getting a result. The two national finals between these sides last year ended in draws – could Sunday be another? 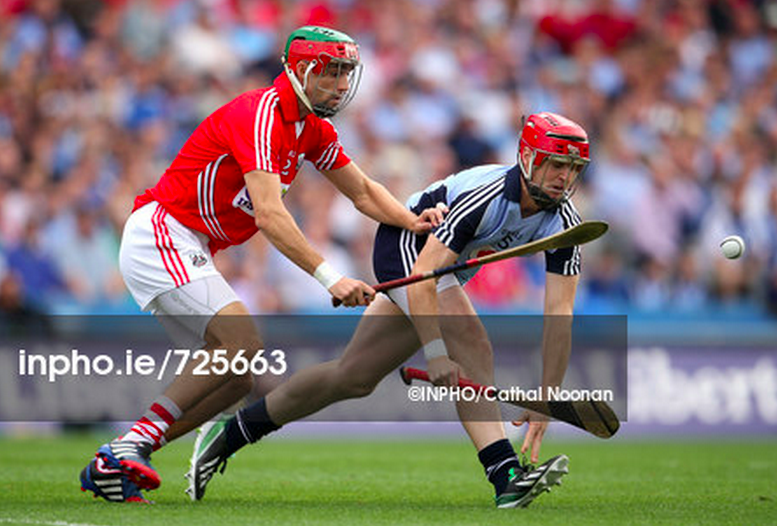 Dublin’s bright start to the year came to a surprisingly sudden end against Cork last week. Clare, meanwhile, have lost three from three and urgently need a win to avoid the threat of relegation. Again, the Elo model makes it a tight one – Clare are favoured but only by 53.7% and another tight game could be in the offing if Ger Cunningham’s charges remain as flat as they were in Croke Park last week. The two middlingest teams in Division 1 come head to head in Salthill, both on the back of morale-boosting wins last week. Again, the Elo model doesn’t give much between them – in fact, just like the other two games, the Elo model only tips the favourite by a 53% margin. Cork’s more recent form ought to assure them but having disposed of Kilkenny last week, Galway will want to make Salthill an even happier hunting ground. Limerick’s Elo rating was nicely boosted by their run to the All-Ireland semi-finals last year and their performances recently have been enough to keep them there. Offaly have misfired against the likes of Laois and Antrim and would be expected to come a-cropper on Shannonside, where the hosts get Elo’s nod by 90.5%. Antrim have been brave this season and have been keen to dismiss their image as being merely one of the also-rans in Leinster. Waterford, however, have come out on the right end of a couple of thrillers and will fancy their changes in this one. Again, Elo backs them by 90.7%. Anyone follow Laois games via Twitter will by now be frustrated by the habit of the O’Moore men to remain competitive in matches for anywhere between 25 and 45 minutes, only for the rival county to pull clear comprehensively by the end. Getting Wexford at home may, perhaps, offer their best chance of breaking this habit. Elo makes Wexford the 64.9% favourites but perhaps Laois may feel 35.1% is a decent base on which to build. Wicklow haven’t been up to very much so far in the division and would be generally expected to be rivalling London when it comes to relegation contenders. London got their game against Derry out of a way a fortnight ago, with the bonus of a victory, so Wicklow will urgently need to get something out of this. That said, Westmeath have been in decent form and the 83.8% nod from Elo is not unfair. Possibly the closest game of the weekend in the lower tiers of the League. The benefit of home venue is all that gives Carlow their nod in this one – the winner of this will fancy themselves to be challenging for promotion. Getting to host the game makes Carlow the favourites by 60.5%. Kildare surprisingly lost late to Down in a thriller last weekend – just as they did in the football, coincidentally enough – in a result that threw Division 2B wide open. That said, they’re still top of the table and Mayo haven’t exactly been steamrolling over their opposition in recent weeks. Elo says Kildare should win it with an 87.8% probability. Down got a nice fillup from that late win last week against Kildare and now find themselves at home against one of the division’s weaker sides. Elo makes Down a bang-on 90% chance of winning it and that seems justified. Another fairly clear-cut projection from Elo this time – Meath collapsed against Kildare on their opening day but have won well in the subsequent two games, and another two points here would keep them in contention to make the final on the final day. Elo gives them a 90.5% nod and given recent history between the two sides, a Royal defeat at home would be a grave blow. Tyrone are one of those teams who have got into the habit of winning. This weekend they find themselves at home against a Louth team who are still trying to feel their way into the season, and Elo’s 81.3% tip for the home side is a fair shout. There’s only one space between these two on the ratings table but Fingal are growing in stature and the actual ranking gap between the two is quite stark. It’s only the home venue that gives Monaghan a reasonable shout, under the Elo model – but Fingal are given the narrow tip by 53.6%. The strongest team in the division against the weakest one. Simple as. Roscommon to win by 86.8% and anything else would be a huge shock. Elo makes these sides the two weakest in the country, but that’s not to say that a local derby between them can’t be any good. In fact, it’s often games of this calibre that throw up the high scorelines that make hurling matches so enthralling to neutrals. Sligo get the nod by 72% but the ratings at the lower end of the scale need a pinch of salt, given how these sides get fewer games to play. The Brums head to Longford in the last game of the weekend, with the hosts getting a 70.4% chance of success – but again, with games so infrequent for these sides, take these with a pinch of salt. We’ll be back after the weekend with the latest Elo ratings – tweet us in the meantime at @GAArankings. So – the first time this year that all 34 sides have been in action, and yet the top of our Elo rankings table is… virtually static. Galway’s two-spot leap, and Dublin’s corresponding drop, are the only changes in the top 15. Kilkenny’s lead is still a big one, and it would take a dramatic string of results for Tipperary to look like bridging the gap, but below them the table is beginning to tighten. Galway’s home win over the Cats sees them jump to fourth; Limerick’s thrilling win over Wexford was by such a narrow margin that they remain in fifth, while Dublin’s catastrophic collapse at home to Cork sends them down to sixth from whence Galway came. We’re back again later in the week to preview this weekend’s games in the National Hurling League. A lot of travelling involved in Division 1A this weekend. All three of our top-ranked teams hit the road as the league table reaches a key weekend that may confirm, if not who will be in contention for silverware, who will be gunning to avoid the drop. We’d already written half of a lengthy sequence about ‘how English people reacted to seeing hurling on Sky Sports’ before we realised that one of the two hurling matches scheduled for this weekend, Longford v Warwickshire, has been pushed back a fortnight. That leaves the Division 2A clash of London (21, 1069) and Derry (19, 1195) as the sole fixture of the weekend. London are looking out of sorts after two heavy defeats to London and Carlow; Derry have three points from four after a draw with Kerry and a two-point win over Westmeath. The men from the Oak Leaf County are in good form and have form on their side – but London have calibre and home venue, and accordingly a lesser disadvantage in the Elo modelling stakes. Derry are listed as 53% favourites but this one could really go either way. Well, how about that? 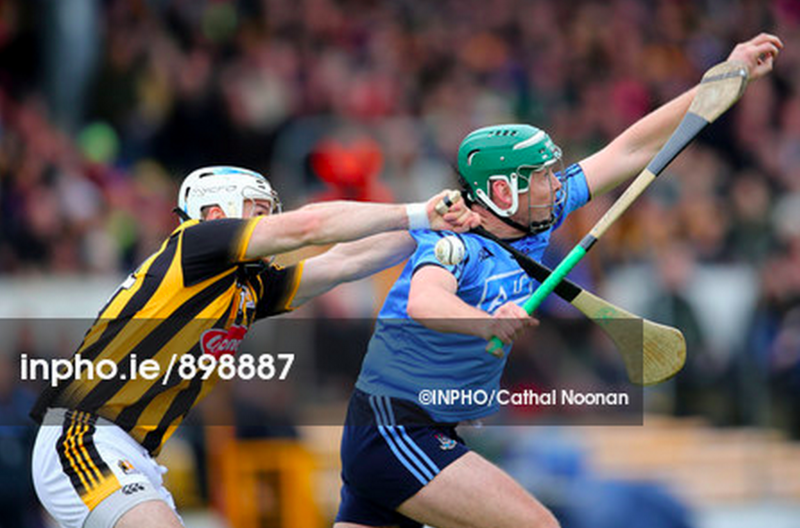 Kilkenny might have saved some pride with a late rally to reduce their deficit to five points – and they feel aggrieved about one of their two red cards – but Dublin at one point led by 14 points and can take pride in having battered both of last year’s All-Ireland and League finalists. The win in Nowlan Park sends the Dubs up to fourth on the rankings chart, while Galway slide two places in the opposite direction despite a valiant effort in Thurles. Tyrone are the week’s other big winners after defeating Fingal by a single point in Swords. 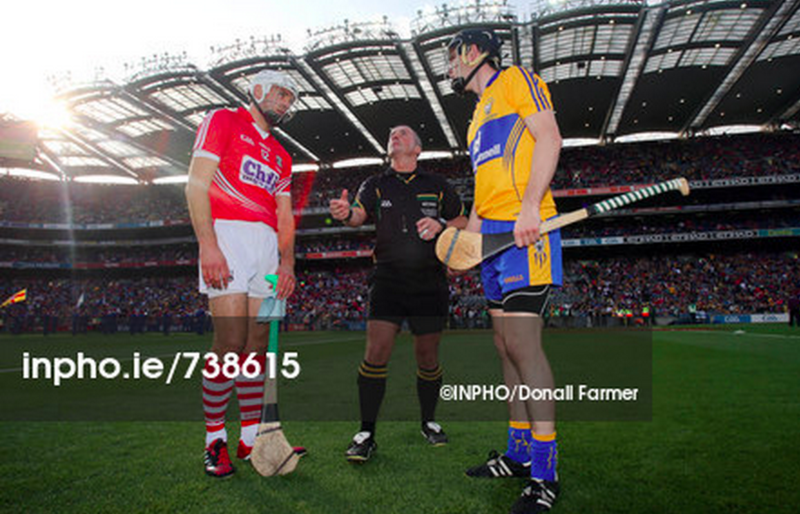 We’ll be back later in the week with previews of the Football and Hurling league fixtures. AS IF Cork and Clare needed another excuse to ratchet the tension up a notch or two. The 2013 All-Ireland finalists meet this Saturday evening, both searching for their first win, and both knowing that a defeat will make it all the more difficult to get out of an awkward and demoralising relegation battle. When there are only six teams in each division, each teams only gets to play five times. That means one defeat can be tolerated (Kilkenny lost two last year on their way to overall League success) but two, especially out of the first two, leaves virtually no margin for error. Cork’s home venue – Páirc Uí Rínn hosts for the second Saturday night in a row – gives them a 69% chance of success. Kilkenny had no warm-up competition and are missing no fewer than 12 members of the Ballyhale side who are still on All-Ireland business. 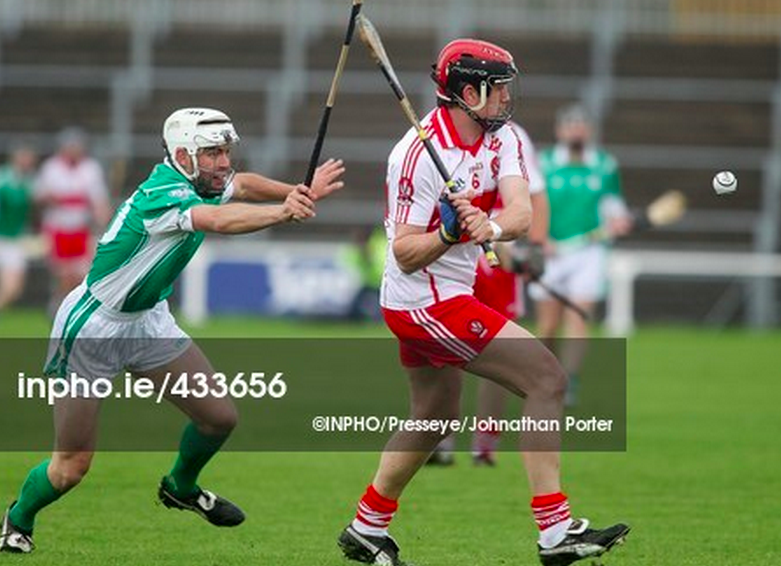 Not only that, but they played the Hurler of the Year out of position last week… only for Richie Power to score 0-11 from corner-forward, taking over free-taking duties from the absent TJ Reid. Nowlan Park dictates a 90% chance of success over Ger Cunningham’s Dublin on Sunday – who will know that Tipperary, albeit poor, did not merit a 12-point defeat last weekend. Probably the best clash of the weekend in terms of raw quality and in terms of having something to prove. Tipp will want to make amends for last weekend’s horror show in Parnell Park, while Galway will be keen to show their mettle after last week’s win over Clare. Semple Stadium may make all the difference, with our model giving Tipp a 74% likelihood of success. After escaping Limerick with a draw last week Waterford ought to feel they’re capable of putting away a Laois side who gave Offaly a good frightening last week. That said, Laois are far from also-rans and probably deserve more than the 14% chance of success our model gives them. Antrim gave Wexford an almighty shakedown last week and may feel like this week’s odds of 16.7% are far from reflective of their chances of success. Limerick’s rating reflects their Championship exploits last year but, after flexing their muscles last week, should feel capable of living up to their rating. Offaly snuck out of Portlaoise with both points last week; Wexford snuck out of Wexford Park with the scalp of Antrim and a mighty sigh of relief. This clash between two sides on a similar footing, ratings-wise, could be the clash of the weekend. Wexford are favoured with a mere 51.2% chance of success. As a Liam MacCarthy side, Westmeath quite probably ought to be higher on our ratings – but the nature of the hurling structure, and the fact that teams tend to play those of their own ‘grade’ more often, means a steady string of defeats sends them further down the list. If they want to prove they’re better than 17th, and would deserve to be considered favourites for promotion, they’ll need to do better than the 49.5% chance of success that our model gives them, partly skewed by Derry’s home venue. London were on the wrong end of a 26-9 scoreline last week against Westmeath; Carlow were on the right-end of a 26-9 scoreline against Wicklow. Only a bumpy ride to Aughrim ought to pose any challenge – our model gives them a 90% chance of victory. Kerry, who are regularly there or thereabouts in the Christy Ring stakes, are really only one breakthrough season away from knocking on the door of promotion to Division 1. After a hectic draw against Derry last week, a 73% chance of success this week points to the prospect of a tilt at the Division 2. Assuming a home venue gives a team an artificial 100-point ratings boost, this game is technically the closest of the weekend, and Armagh are favoured statistically with a mere 50.3% chance of success. Both sides are bruised from defeats last week and will want to get their challenges back on track. Down and Kildare are among the other sides who regularly knock on the door of Christy Ring success, and both will be happy with their victories last week. Having disposed of Meath with such relative ease, Kildare are favoured with a 62.3% likelihood of making it two-from-two. Mayo will be happy to have escaped Donegal with two points, while Meath will be feeling very deflated after following their O’Byrne Cup win with a 10-point massacre in Trim at home to Kildare. The visitors are favoured with a 57% chance of getting their season back on track. Fingal are a side very much on the up, and should find it easier to flex their muscles at home against a Tyrone side who may already be a pinch ragged from a draw against Monaghan last week. Fingal have a two-thirds chance of success. Another game in which the home side has a two-thirds chance of winning. Louth will be itching for better after a double-scores loss to Roscommon last week, while Fermanagh will want for better than they showed against Fingal. Monaghan got a draw from Tyrone last week, in yet another result that lends weight to our theory that Ulster hurling, though perhaps not of the best standard, has a better classic-to-dud ratio than the other provinces. However, Roscommon will be in good form after last week’s hammering of Louth and are 69% favourites to progress their campaign back to Division 2B. We’ll be back after the weekend with the latest GAA Hurling rankings. The more things change, the more they stay the same. Kilkenny don’t get a warm-up competition, miss a dozen players to club duty, move their Hurler of the Year from midfield to corner-forward, and an All-Star corner back into full back. But yet Richie Hogan goes and scores 11 points, Paul Murphy is excellent in the Number 3 shirt, and the production line keeps on rolling. Kildare are the week’s big movers, up 3 places, after a fine win over Meath in Trim. Galway’s win over Clare sees them move into fourth, while the Banner go down to seventh, leapfrogged by Dublin who get a bounce from their win over Tipp. We’ll be back later in the week with a preview of the Round 2 fixtures. For any other team – in perhaps any other team sport in the world – losing players with 29 championship titles between them would be a devastating loss. For Kilkenny, it’s merely the departure of four older men – none of whom were ‘good’ enough to make the starting 15 when the latest of those titles was claimed. Indeed, David Herity, Aidan Fogarty and Tommy Walsh might even consider themselves lucky that they didn’t finish their careers in the same way as Brian Hogan – giving away the (harsh?) harsh injury-time free that may well have cost Kilkenny the All-Ireland. 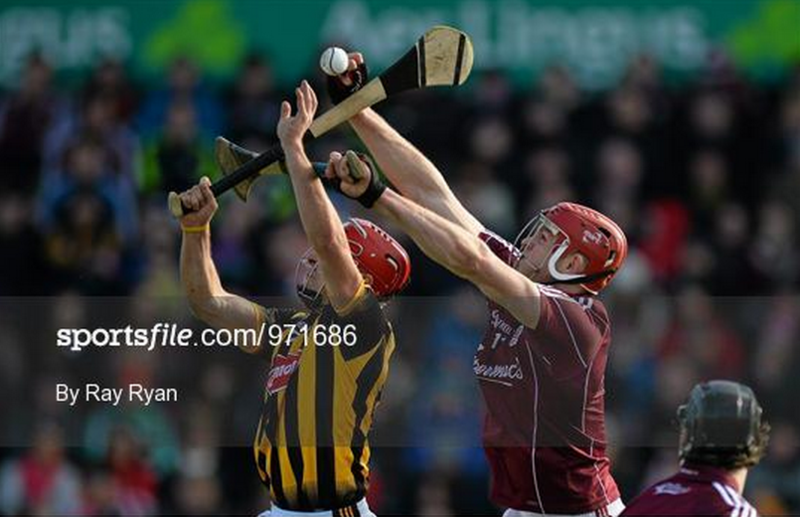 Such are the standards that Kilkenny set for themselves. The Cats may have lost twice and drawn twice last year, but when it comes to silverware – and that’s what counts in this game – they won literally everything. After failing to make it to Croke Park at all in 2013, their first visit in 2014 – almost out of spite – was destined to land the Walsh Cup. 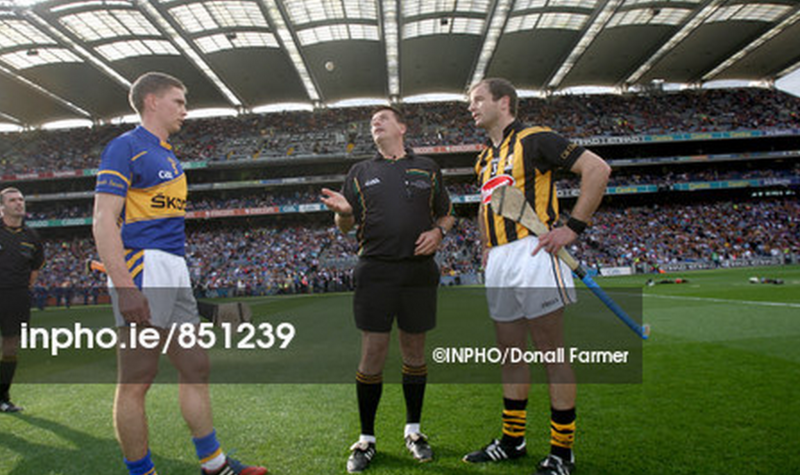 Three thrillers against Tipperary then bred League and All-Ireland success. It’s sad in many ways that so many other wonderful hurling counties, and wonderful honest-to-God hurlers, will be historical footnotes by sheer accident of chronology. 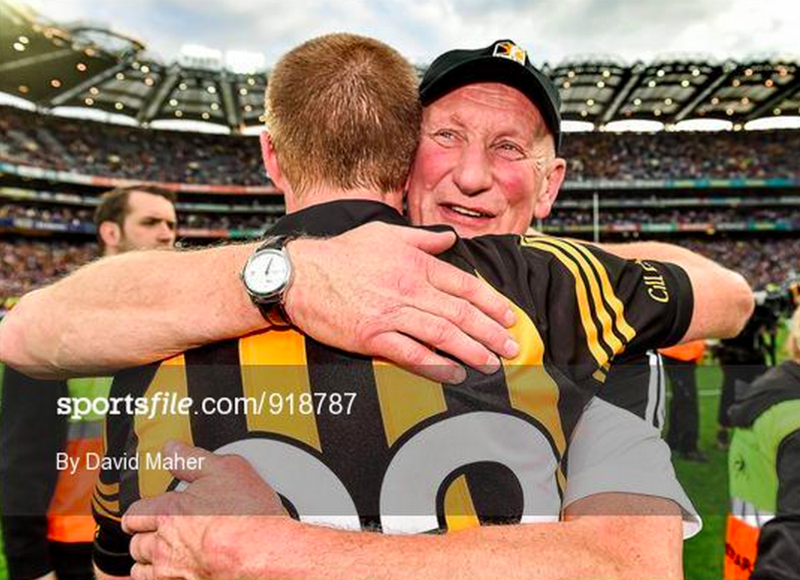 But there are two days of looking at Kilkenny’s success – it’s either a sign of a sport in an uncompetitive crisis, or a gauntlet thrown down for others to aspire to. Thankfully the era of Sheedy, Ryan and O’Shea has left Tipperary as worthy opponents, while the Championship outings of Clare, Cork and Limerick in the last two years also mean there is room for optimism. Cody and company may be raising the standard, but the rest are keen to match them – and the sport is all the better for it. As you’ll see below, the sheer spread between the strongest and weakest counties is far wider in our hurling ratings than for football – but that’s hardly a surprise looking at the realities of the modern hurling landscape. The basis for calculations in hurling are slightly different than those of football, to account for the structure of the Championships and the impact that the lower-tier tournaments have for each participating county. The Calculations page will explain more. There are 15 NHL matches this weekend so this time we’ll go without a general preview, save to point out that Saturday’s clash of Laois and Offaly in Division 1B is not only a local derby, but now a match between two keenly-matched sides. Another game worth watching out for is Meath v Kildare in Division 2B – of two sides who are not only bitter local rivals, and who seem to meet each other in almost every competition every year, but of two teams who are now absolutely desperate to get to Division 2A as a breeding programme before a tilt at Christy Ring honours. If it’s anything as good as the football clash between the same counties last week, it could be a thriller. Feel free to comment below, or tweet us @GAArankings (or @gavreilly) with your gripes, questions, observations and craic. We’ll be back after the weekend with the first update to the 2015 ratings.